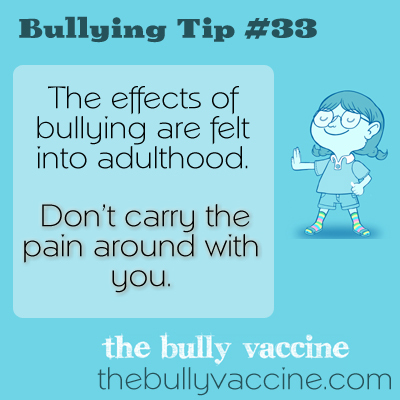 Bullying Tip #33: How can you heal after being bullied? The effects of bullying are felt into adulthood. Don’t carry the pain around with you. Bullying is so traumatic, most adults remember being bullied vividly. The problem is, how to let go of that pain so it doesn’t affect us as adults.